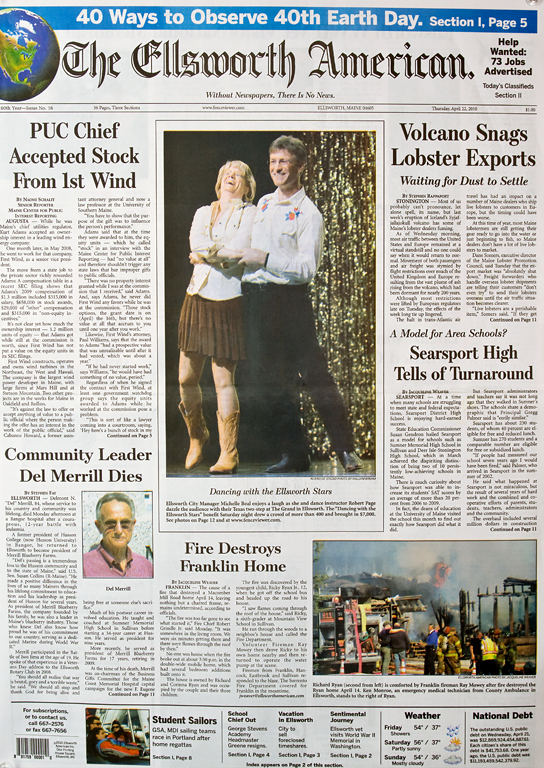 Dancing With The Stars Ellsworth A Hit ! 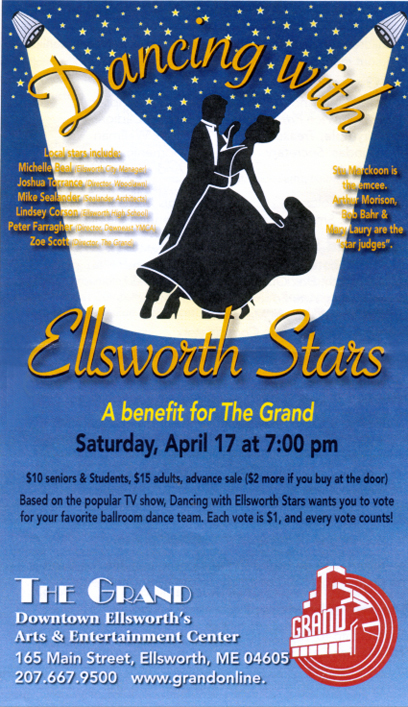 The Dancing With The Stars Ellsworth Benefit For The Grand Auditorium Was Huge Success. This fun program took place on Saturday Evening, April 17th, 2010. Over 400 attended and the event netted over $7000 for The Grand. William was also fortunate enough to work with The Grand and the Ellsworth Stars and Dance Instructors to create their pre-show publicity headshots. 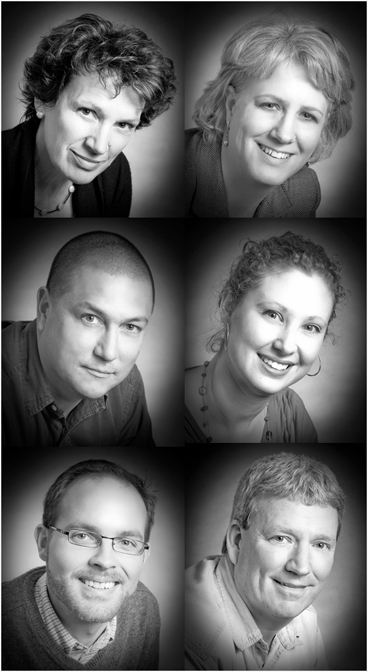 The images of the Ellsworth Stars pictured below are (from left to right), Zoe Scott – Michelle Beal – Mike Sealander – Stars Contest Winner, Lindsay Corson – Josh Torrence and Peter Farragher. We have had the opportunity to work with The Grand Auditorium on many occasions in the past and look forward to a long and mutually fruitful relationship with them in the future. To find out more about the Grand visit their website http://www.grandonline.org/. 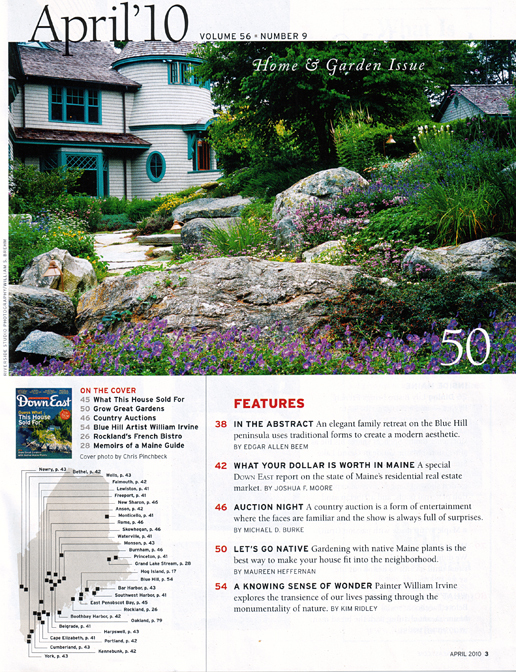 This beautiful image created by Maine Photographer William Brehm of Riverside Studio for friend and client Bruce John Riddell an Award Winning Maine Landscape Architect is featured in the April 2010 Edition of Downeast Magazine. The image was created in the gardens of a private estate in Blue Hill Maine. Mr. Riddell is the Maine Landscape Architect responsible for the design and layout of this exquisite Award Winning garden. This garden received the design award of merit from the Boston Society of Landscape Architects. Images from other gardens designed by Bruce will be featured in this newsletter in the future. To see more of Bruce Riddell’s Award Winning gardens visit this link http://www.landartdesigner.com/. For more information regarding The Boston Society of Landscape Architects visit this link http://www.bslaweb.org/.